1. Michael van der Mark (Pata Yamaha Official WorldSBK Team) recorded his maiden WorldSBK win at the same age of Chaz Davies (Nurburgring/2 2012): 25 years, 7 months, 0 days. 2. Van der Mark is the only rider in history with his first two wins separated by one day. Before the new weekend format was introduced, eleven riders were able to record their first two wins on the same day – the first was Raymond Roche in Brainerd, 1989. 3. Van der Mark enters the Brno weekend with a mammoth task at hand: he can become the first rider in history whose first four wins came one after the other. 4. The Netherlands are the 16th country to win in history; the first to record a maiden win since Eugene Laverty recorded the first win for Ireland in Monza, 2011. And it was a double as well that weekend. 5. Toprak Razgatlioglu (Kawasaki Puccetti Racing) became the first Turkish rider on the podium in WorldSBK, and the 120th in history. Turkey is the 19th country with at least one podium finish in WorldSBK history. 6. Will Jonathan Rea (Kawasaki Racing Team WorldSBK) score his record-breaking 60th win in Brno? Numbers are on his side. He wasn’t able to win at Donington: his last string of three races without a win came last year in both Misano races and Laguna Seca Race 1. 7. 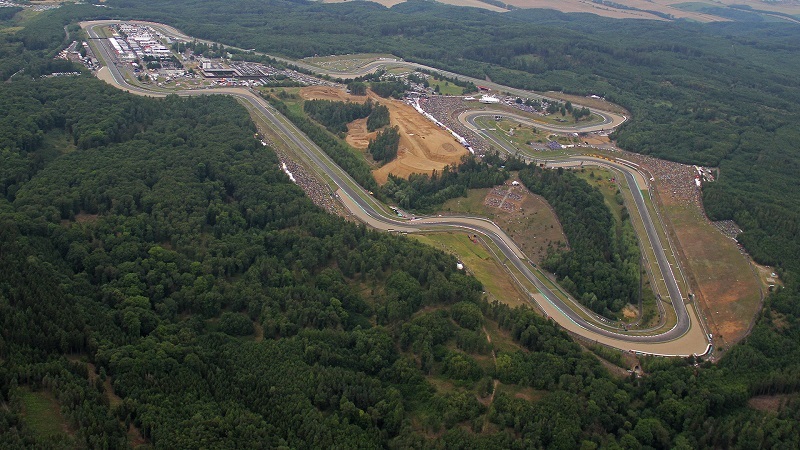 Brno is a hunting ground for Italian riders: Italy is the most successful country here with 7 (4 Biaggi, 3 Melandri). Great Britain, the most successful country in WorldSBK history at present, have had riders winning just three times here, the last one with Jonathan Rea in 2010. The last five wins here were all Italian (3 Melandri, 2 Biaggi). 8. Tom Sykes (Kawasaki Racing Team WorldSBK) has won around 14 different tracks in his career. At five other tracks his best result is a second place: Brno is one of them, the others being Losail, Phillip Island, Istanbul and Lausitzring. 9. Marco Melandri (Aruba.it Racing – Ducati) needs only one win to tie the Brno record of four set by Max Biaggi from 2007 to 2011. 10. The last win for Ducati in Brno came 10 years ago, in 2008 with a double by Troy Bayliss. The only win for Kawasaki came a quarter of a century ago, in 1993 with Scott Russell.